New 13500-ton SSBN with at least 12 silos, armed with the K-5 long range SLBMs. First to launch around 2025. Total number unknown, but probably at least 2. Meanwhile, IN seems to have given up the plan for a new line of SSKs built in India, and a new building program has been commission to build 6 new SSNs. Meanwhile, the Kalvari (Scorpene) class SSK continues to be built at Mumbai's Mazagon Docks, with 1 in service, 2 launched and 3 under construction. The 6 SSNs replace the earlier plan to build 6 more SSKs. 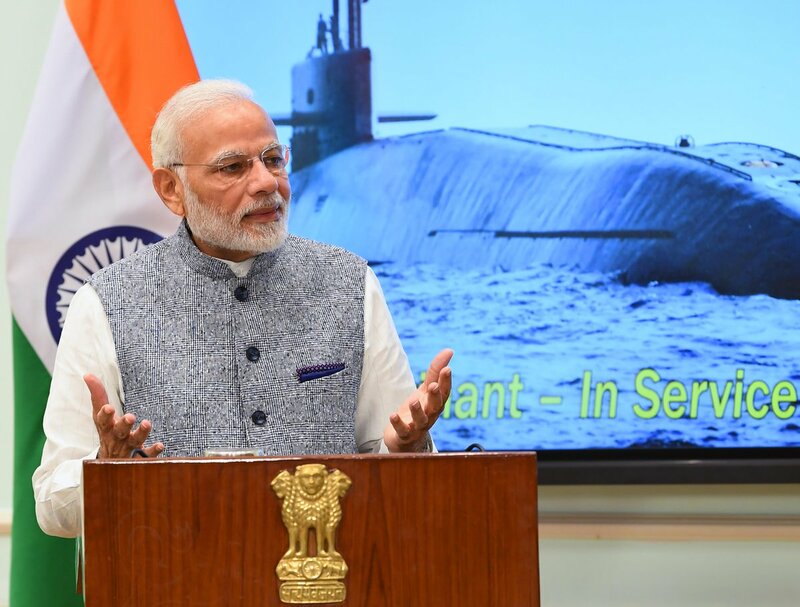 After the initial teething troubles - INS Arihant was the first submarine ever designed and built in India, literally the first ever, not just first SSBN - the submarine building program has picked up pace, with an increasing focus on nuclear propulsion. The second boat of the class, the longer and bigger INS Arighat, is undergoing sea trials and due for commissioning in 2019. I don't see any valid reason for India to Operate SSBN's? It's just a massive waste of money. Mobile ground based ballistic missiles are probably more then enough given there's only two countries they are likely to have a war with. This is just a willy waving exercise. No, it is not. SSBNs are generally seen as the most credible/survivable leg of a nuclear triad. India's fledgling SSBN capability has a long way to go yet, but for a country with a NFU/CMD posture, the subsurface leg is non-negotiable. I would imagine, far in the future after the SSBNs and their payloads are completely mature and meet all national requirements, the real willy-waving part of the triad (land) will be let go of, much like the French did decades ago. The arguments in favour of airborne deterence have been covered threadbare here and elsewhere, so I am not getting into those. There's no reason for ANY country to operate SSBNs considering no one's ever going to blow up the whole planet several times over, as all the aggregate SLBMs between NATO, Russia and China can currently do. Western Europe is protected by a few thousand SLBM warheads. New Zealand is part of the Five Eyes and not separate from the US in this regard. It's almost 30 years since the Cold War - one of the stupidest wars ever - where two entities threatened to destroy the planet over differences on how to run economic systems - ended. When you're done getting rid of all those SSBNs then you can tell us what we should or shouldn't have. Better gear up for Round 2.